That the cannabis industry is growing by leaps and bounds is not new news. Over half the United States has legalized some form of medical marijuana, with nine states enjoying full adult-use legalization. All of Canada is set to enjoy recreational cannabis in a few short months. However, while it’s fun to read the reports about the potential size of this new market, it doesn’t always tell the whole story. The cannabis business is tough. At first, maybe, the product just sells itself, but the novelty wears off pretty quickly. At Headset, we’ve gotten to watch the industry evolve in real-time, via the data we collect from our partners in cannabis retailer and production. We launched Headset, a data-driven business analytics firm specifically designed to meet the needs of the cannabis industry, in 2015, tracking our home market of Washington state. We track data across the country, but we’re capturing about 75% of every dollar transacted in Washington, so the dataset we’ve built there is really strong. From studying it, we’ve gained some fascinating insights about what a maturing market looks like, and what it takes to carve out a foothold in it. These are the ones we think are most important, and we hope entrepreneurs in emerging markets like Canada and California will find them useful! Our data show an almost astronomical rate of growth in the early years of the Washington market. The recreational market started very small, as it was essentially built from scratch, rather than being based on an existing medical market like it was in Colorado. Growth rates were about 100% from 2015 to 2016 in Washington. That fell to about 33% from 2016 to 2017, and year to date growth is at about 10%. That’s still a great growth rate, of course, but the trend is pretty easy to interpret. Growth cools off after the initial surge of activity, which benefits well-established businesses the most. Certain sectors and product categories still have a lot of growth potential, which we’ll get into below, but overall growth tapers off as the industry wins over initially hesitant consumers and reaches a plateau point. As the market grows and settles, so too do prices. At first, because supply is limited and the market is small, prices are pretty high. We’ve seen those prices drop over 2016 and 2017, but eventually stabilize. However, while prices are lower overall, consumers are still spending about the same amount per transaction ($30-32). Basically, the industry is delivering a lot more value to the consumer. However, that decreased cost to consumer comes out of someone’s pocket, and in Washington it appears to be the producers. There are far more licensed producers and processors in Washington than retailers, creating something of a glut. As with any commodity, too much cannabis on the market means low wholesale prices, and we’ve heard of producers selling for as low as $0.20/gram. Producers that are insulated from this a bit are ones who have developed a brand that resonates well with consumers, enabling them to ask more from retailers. Large producer/processor operations who have a lot of different brands in their portfolio actually do very well in this market, as they’re able to bring in or grow a lot of product very cheaply, add value to it, and ask for better wholesale prices for that product. As we hinted at above, variety is key. Consumers start out buying almost exclusively flower. We estimate that about 90% of sales in a new market will be flower, and that that figure will drop off significantly over time. Among the nine product categories we track, flower still accounts for over 50% of Washington sales, but the category has definitely given ground. And the products that continue to show high growth rates are niche ones like tinctures, topical, and capsules. Companies looking to break into the market later in the game would do well to look outside of the flower category. 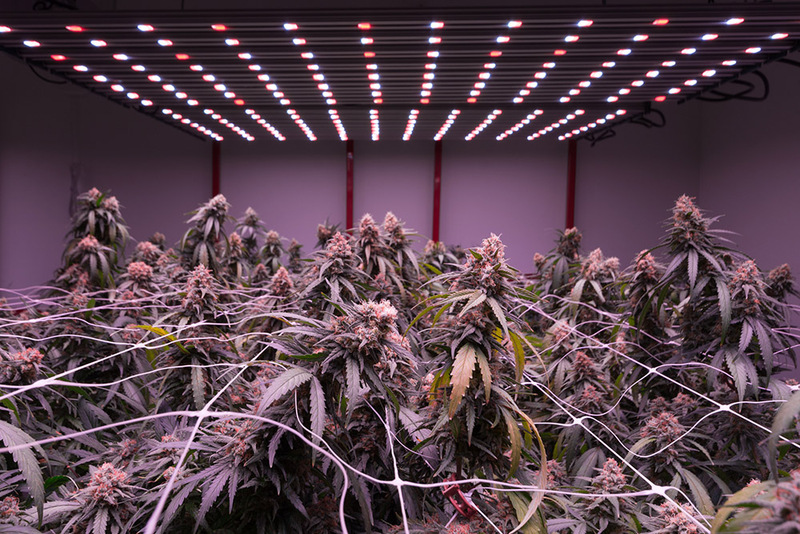 For producers with a long history in flower, like Humboldt’s big medical growers, thinking early on about other ways to use that flower is wise. We mentioned that producers who brand well are protected from downward price pressure to some extent. Indeed, branding is a big part of success in the mature cannabis market. In Washington, the top 10 brands currently command 20% of the market. And that’s just brands, not companies. We estimate that there are about 900 currently operating producers in Washington, and many of the top producers have multiple brands. Successful brands also tend to have a lot of products in their portfolio, so they’re meeting every different need their customer base might have. Once they’ve won people over with one product, they can keep them interested in the brand with other products. What do winners look like? The top 10 brands in Washington all share similar characteristics. Distribution is one of them. In Washington, the state is divided into east and west sides by the Cascade mountain range, and the top brands have a solid retail presence on both. They all produce products in multiple categories, from flower to edibles to pre-rolls and beyond. Perhaps most importantly, they all focus on building a consumer relationship with their brands, be it by commissioning custom art for their packages, or pushing to engage budtenders, who serve something like gatekeepers of brand loyalty. Because cannabis brands can’t depend on most social media to communicate with their customers, focusing on in-person marketing, like the visual appeal of packaging or the human interaction with budtenders, is crucial. The big brands do that very, very well. Data matters as well, and companies that are making decisions based on data rather than hunches have a serious competitive advantage. We’ve also heard from our retail partners that producers who use technology to manage logistics get preference. At least a few of the top brands use our Bridge service, which is a vendor-managed inventory (VMI) system designed for the cannabis industry, and buyers love them. Lastly, something we’ve also seen is that the best brands combine business savvy with a good understanding of cannabis culture. Lots of entrepreneurs who came from the black or grey markets suffered for a lack of business acumen, and lots of companies who came from outside the cannabis community have found it difficult to connect with consumers. The best companies can do both. These insights are based on Washington State data, so it’s worth considering what’s different in some of the newer markets. Both Canada and California will have distributors in the market, meaning that the emphasis on producers doing their own direct-to-consumer promotion might not be as strong. Obviously, they’ll still have to develop brand awareness, but they may find distributors to be useful allies in that effort. Both of those big, exciting, new markets will also allow delivery, which is a major game changer. For one, it’s the main competitive advantage of the black market in states like Washington, where delivery is restricted. It also massively expands the reach of retailers, which means that supply gluts could be much less of an issue. If everyone who wants cannabis can get it without having to come in to a store, it’s a safe assumption that sales will go up! In Canada, it appears that e-commerce will even be legal, which opens up a whole new world of possibilities for direct-to-consumer sales. Speaking of such, some states allow on-site consumption, which allows for some interesting possibilities in terms of sponsoring events. Overall, while the green rush might not be quite the bonanza everyone’s made it out to be, it’s an exciting time to be in the cannabis industry. New markets are opening up left and right and, as our data demonstrates, there are a lot of ways to succeed in those markets. Headset is a data and analytics service provider for the cannabis industry, with a mission to help operators make more informed business decisions through data. Headset focuses on consumer transaction information to help cannabis retailers better optimize operations while leveraging aggregate and retailer-direct sales data to provide product manufacturers, processors and distributors the tools they need to stay ahead of the competitive landscape, better identify opportunity and collaborate with retail customers. Explore Headset Industry Reports and discover interesting trends in the cannabis industry. 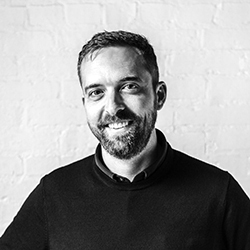 Cy Scott is the co-founder and CEO of Headset.io, the first real-time business intelligence and analytics service for the cannabis industry based out of Washington state.